Scientists have just created a new type of matter that was thought to be impossible to make before. 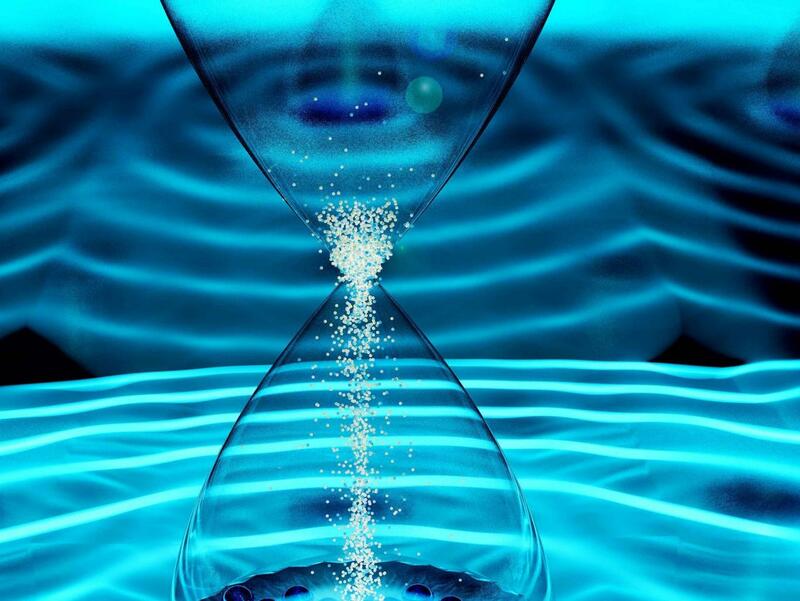 A new kind of matter called “time crystal” has been created by two teams of researchers. Normal crystals, anything from diamonds to snowflakes, have atoms arranged in a repeating three-dimensional lattice. But this crystal has another dimension involve in it, time. The existence of time crystals was first suggested in 2012, it repeat a pattern across the fourth dimension. According to the laws of physics, the arrangement of atoms should oscillate forever without any external influence. But the time crystal, due to perpetual motion, may contradicts the laws of physics, according to some scientists doubt. But it is thought to be possible partly because of the strange way matter behaves at the quantum level. Time crystal is observed to lose no energy to the outside world, as it seems to be closed system. And it also appears to have properties similar to superconductors, so electrons can move without any resistance. Theoretically, this allows the observed motion to continue, at least, forever. Scientists are just thinking that may be this crystal could help them in making quantum computing a reality. The crystals could help protect the stored information, overcoming one of the greatest problems to the extensive use of computers many millions of times faster than the ones use today. Researchers have created the first time crystal from electrically charged atoms of the element ytterbium at Maryland University. One of the teams, led by researchers at Maryland University, created the first time crystal from electrically charged atoms of the element ytterbium. They used an electric field to ascend 10 of these atoms above a surface, then repeatedly hit them with a pulse of a laser. The atoms began to flip in a regular pattern by themselves, but they did so in an odd way. Rather than moving at the same rate as the laser pulses, they flipped at half the pace. The researchers compared this to hitting a piano key twice, but just getting one note, or enfolding a mop regularly but seeing it recover only once every second squeeze. This is an overview discussion of this crystal, the declared breakthrough was publicized in October last year. Now another group of scientists at Harvard University have now published separate papers in Nature. Professor Chetan Nayak, of University of California, Santa Barbara, said: “based on our current knowledge it had been natural to see if it was possible to spontaneously break the time-translational symmetry of the laws of physics”.